THE 2019 COLLECTION IS PACKED WITH NEW FEATURES! 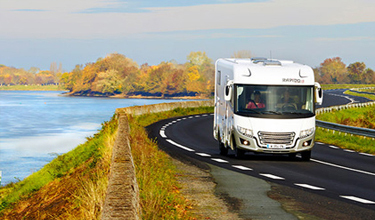 Power management is key to a successful motorhome journey! 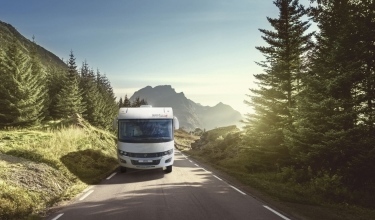 RAPIDO strives to create a stress-free travel experience for its customers and has harnessed LITHIUM energy to improve its vehicles’ autonomy. The 70F, 80dF and Distinction series now feature Lithium - Super B Ready leisure battery prewiring. The cable sections are pre-calibrated to hold a Lithium Super B battery. The 90Ah Lithium living area battery is available as an optional extra for Series 70F and Distinction. The same Lithium battery is included as standard in the Premium Edition i1090 and i1066 models. A second 90Ah Lithium battery can be added to Series 70F and Distinction models, bring the total capacity to 180Ah. 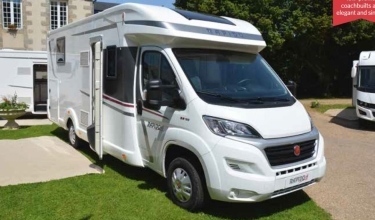 RAPIDO motorhomes have gone upmarket in the 2019 Collection. The i86 and i96 DISTINCTION models now feature TRUMA COMBI 6 EH heating as standard. 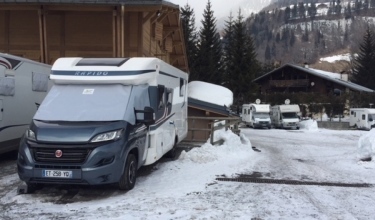 Meanwhile, the PREMIUM EDITION models and DISTINCTION series are fitted with iNet as standard in the 2019 Collection. Other improvements, such as the TRUMA adjustable swivel vent at the foot of A-class model cabs, have also been introduced. Every year, RAPIDO strives to improve its vehicles. We know that comfort is also created by having quality interiors. 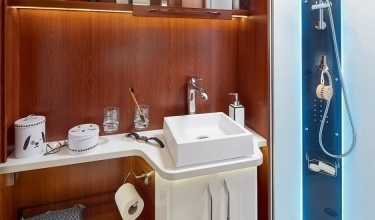 That is why we have unveiled new interiors in our 2019 Collection that are even more modern and practical. 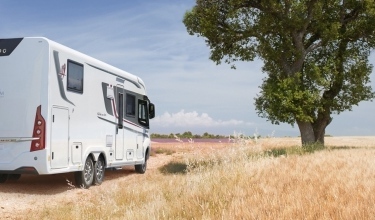 All RAPIDO low-profile models are available with an electric drop-down bed option. 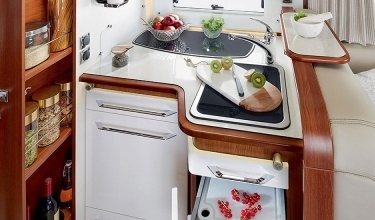 This bed is not only practical and increases the number of available berths, it is also modern and stylish. The finish has undergone a full overhaul, introducing new lines that incorporate direct and indirect lighting. RAPIDO’s fabric world tour continues with DENVER and DETROIT, two new understated yet modern upholstery designs. With its natural shades, DENVER fabric is the standard upholstery and looks great in all models and with all styles. DETROIT is available as a standard upholstery choice in Series 70F and as an optional extra in Series 6F, 8F, 80dF and VAN. Available as an optional extra on all models (except vans), the new AUSTIN and RIGA leather upholstery styles create bright, luxury interiors. Lastly, for even greater comfort, the face-to-face bench seats on the AL-KO chassis now feature armrests (one or two, depending on layout). 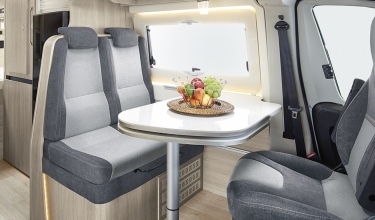 The i165, i190, i1066 and i1090 models feature additional storage under the dinette table. This perfectly optimises the space. 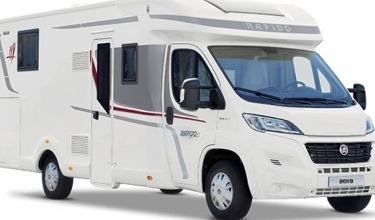 Since its creation, the RAPIDO brand has been known for delivering vehicles with top-of-the-range exteriors and quality construction. 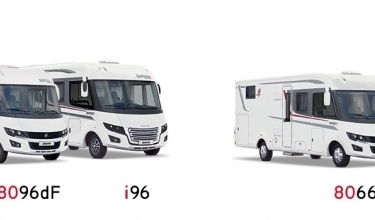 Series 70F and DISTINCTION feature a new rear design, while all the models (except vans) come with new 230V and fresh water magnetic hatches and new storage area door units. Extension of the UK network for RAPIDO Group !